In the history of ideas, there are ideas that need to be rescued from those who should know better, but simply do not. For example, all the false views about the Middle Ages. Way too many to even get started in this blog. Interestingly, even the Renaissance has its share of misreadings. There are some Christians who look to blame all the ills of the modern world on the Renaissance. If you look long enough, one discovers those who see the roots of secularization in the Renaissance or the foundation of modern atheism in the Renaissance. While ideas do have consequences, one should be extra careful on blaming an age, person,or book for the woes of later generations. One extremely helpful reader on this is The Renaissance Philosophy of Man: Petrarca, Valla, Ficino, Pico, Pomponazzi, and Vives edited by Ernest Cassier and Paul Oskar Kristeller. This volume is a fine place to start before moving onto the entire longer works of these authors. There are those, with limited knowledge of the Renaissance, who sadly believe that the period between 1350 and 1500, what is often classified as the Renaissance, was characterized by a time of philosophical decline. This belief is contrary to all the evidence. During this time, there were three major groups of Renaissance Philosophers who were considered the Humanists (Petrarca, Erasmus, Juan Luis Vives), the Aristotelians (Pomponazzi, Giacomo Zabarella), and the Platonists (Nicholas Cusa, Pico, and Ficino). What would set the Humanists apart from the Aristotelians or the Platonists was that Humanism was recognized more as a plan for educational and cultural improvement than a set of ideas or philosophical tenets. 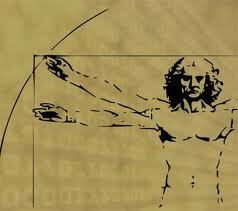 Humanism, as a way of thinking and living during this time, grew and influenced the world of that time. Specifically, the period from the 1400s to the 1500s should be recognized as a unique emphasis on educational and cultural renewal founded on Biblical Christianity and grounded in a study of the classical Greek and Roman writings. Building on the Trivium and Quadrivium of Medieval education, the Humanists stressed the importance of rhetoric and poetry, a greater understanding of Greek and Roman history, and they also emphasized how important it was to be morally upright. Even the term studia humanitatis was a term that stressed Classical and educational ideas and the emphasis was on the Humanities, that is writings and ideas that can help us flourish as human beings. To confirm this point, in a recent book entitled Humanism and Religion: A Call for the Renewal of Western Culture, author Jens Zimmermann makes the case that during the Renaissance it was Christian Humanism that dominated the intellectual and cultural landscape, and this changed Western Civilization for the better. The Christian Humanism of this time was richly informed by Biblical and Patristic resources and that much of what the authors did during this time was directly connected to the teachings of the early church fathers and the Bible. This deep affection and devotion to Biblical truths and early Christianity reached it’s pinnacle in the life and writings of Erasmus. One thing that is essential that could and should be reclaimed during this time is that the Humanists were concerned ultimately about moral life and the religious imagination. That is why a number of authors during this time use imaginative writings (Erasmus’s Praise of Folly) to communicate central Biblical and Classical truths in a literary form. If there is an overarching connection or thread that is woven through the Christian Humanists’ lives and writings, and those of Aristotelians’, as well as the Platonists’, it is a stress that they all placed, to varying degrees, on eloquence, wisdom and piety. Life in the Church, State, Universities, and places of culture all existed under the umbrella of faith, and the hammer of secularism was yet to sound its tiny clang of emptiness. A delightful and informative posting. One comment: I'm not aware of an overwhelming cacophony of anti-secular "…Christians who look to blame all the ills of the modern world on the Renaissance." I thought that particular critique was directed at the Enlightenment and a perverse humanistic 'reason' in conflict with the Platonic Nous, where the structures of reality, ever lodged in the psyche of man, are knocked askew by the desire to close off reality by inhibiting any openness to the divine ground (see Voegelin's 'Reason', Vol. 12, CW, pp273-4).